Answer: Dear Debbie, I am assuming you have a clay soil and this is why you are applying Gypsum. 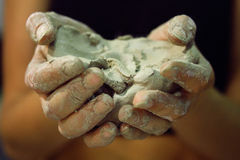 The main reason for applying gypsum is to penetrate the clay particles and loosen and break up the clay.... Normally a light tilling to break up the clay, apply some topsoil and grass seed on top, rake lightly so the seed is about 1/8 inch deep into the topsoil and cover 100% with hay and keep watering until you see new grass sprouting up. The key is loosening up the clay soil and keeping the hay on top damp to shield from the sun/heat, and to hold the moisture in until the seed can sprout. � If it is a very clay soil you may have to add gypsum to break the clay up. � Add plenty of compost as this will help break the clay up and also add valuable hummus to the soil. � Consider the soil drainage, as clay soils can become very wet during winter causing plants to die.